With just two games left in the regular season, it’s time to re-evaluate the 24 EuroCup teams. Almost two months ago, the first 7Days EuroCup Power Rankings were unveiled. After eight rounds of action, while few things changed at the top, there are plenty differences in the way each EuroCup team is ranked, this time according to their performance on the court and not only on paper. The big picture remains pretty much the same with one very notable, if negative, exception. Five teams have made a jump of six or more spots in the rankings and it remains to be seen who will claim the last seven open spots for the Top 16. Despite a coaching change, with Vlada Jovanovic replacing Sasa Obradovic, Lokomotiv Kuban remains the team to beat. Their record is proof of their quality. Still, they were defeated at home by ALBA Berlin and they have to face the Germans on the road, so there might be a crack in their armor after all. 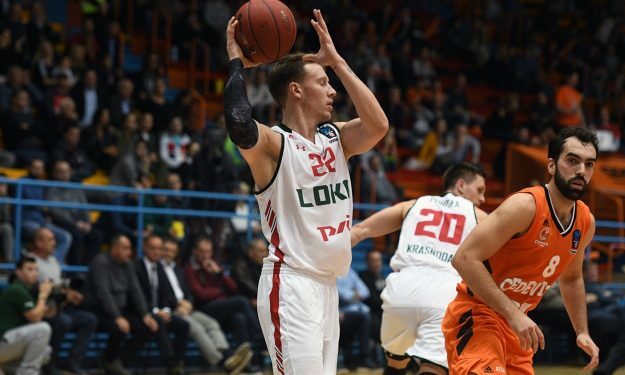 They started the season as victims of an upset in Vilnius by Rytas. Since then, Unicaja has registered seven straight wins and there’s no sign of them slowing it down. They are playing like everyone expected them to. They gained a spot, and rightfully so. They were defeated only by Unicaja on the road and there’s a good chance that they will finish on top of Group D. Until this happens, they remain half a step behind their Spanish rivals.